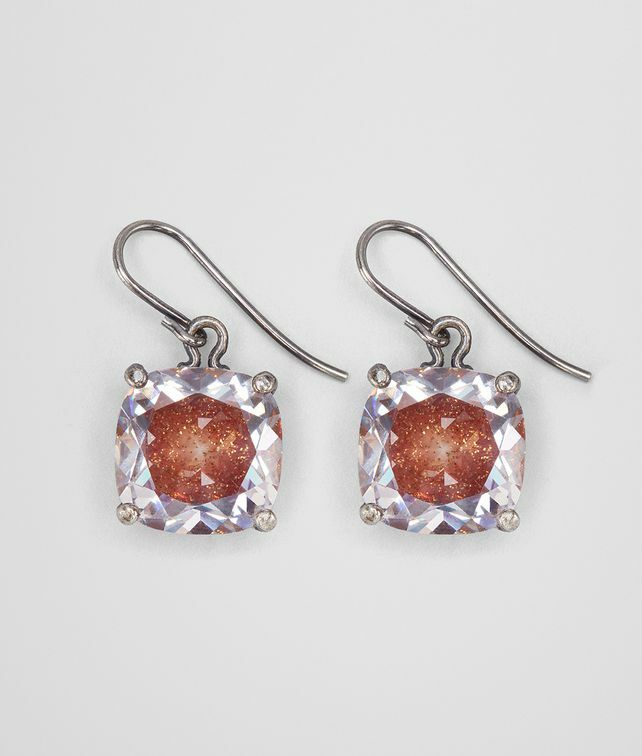 Silver drop earrings featuring a brilliant cubic zirconia pendant. The stone is faceted and hand-enameled by Bottega Veneta's master jewelers, giving it a unique color effect that sparkles at every step. Hook closure.